Ce hair spray is a leave-in conditioner to strengthen dry or damaged hair . 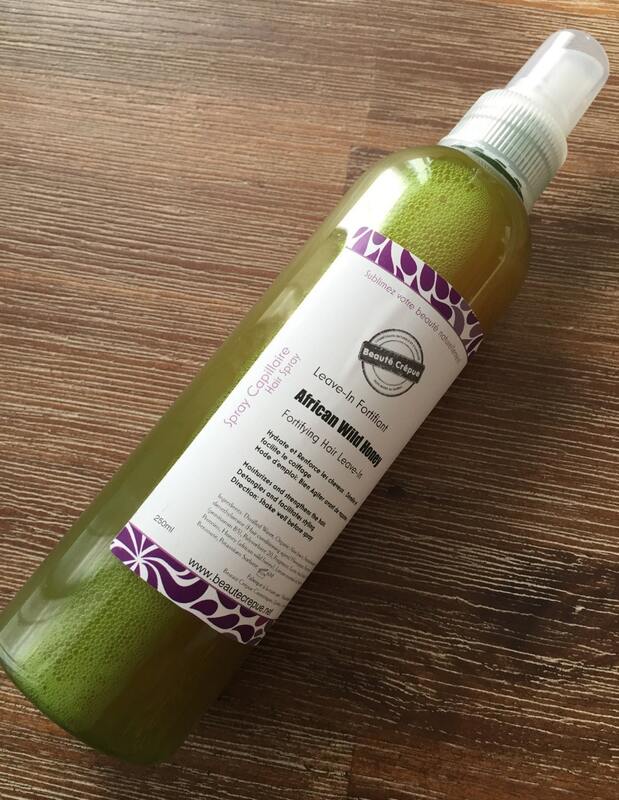 The leave- in with African Wild Honey moisturizes, repairs, nourishes , protects, and helps styling while gently perfuming your hair. - Water: essential to moisturize the hair. 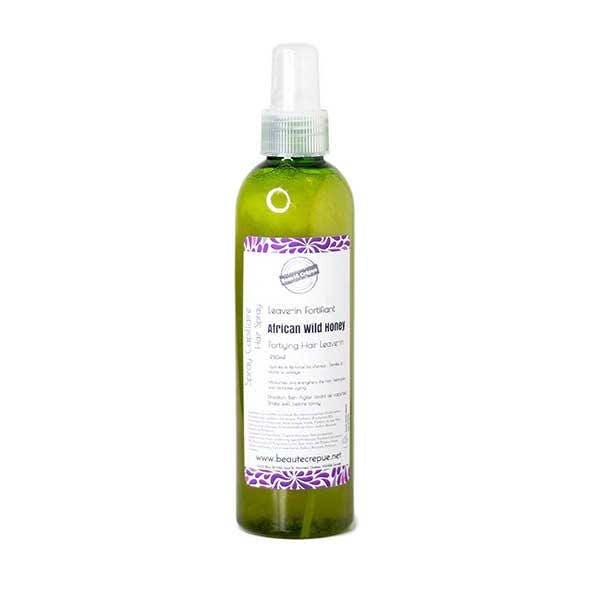 - Organic Aloe Juice : Excellent moisturizing, Aloe can compensate for water loss from the skin and hair. 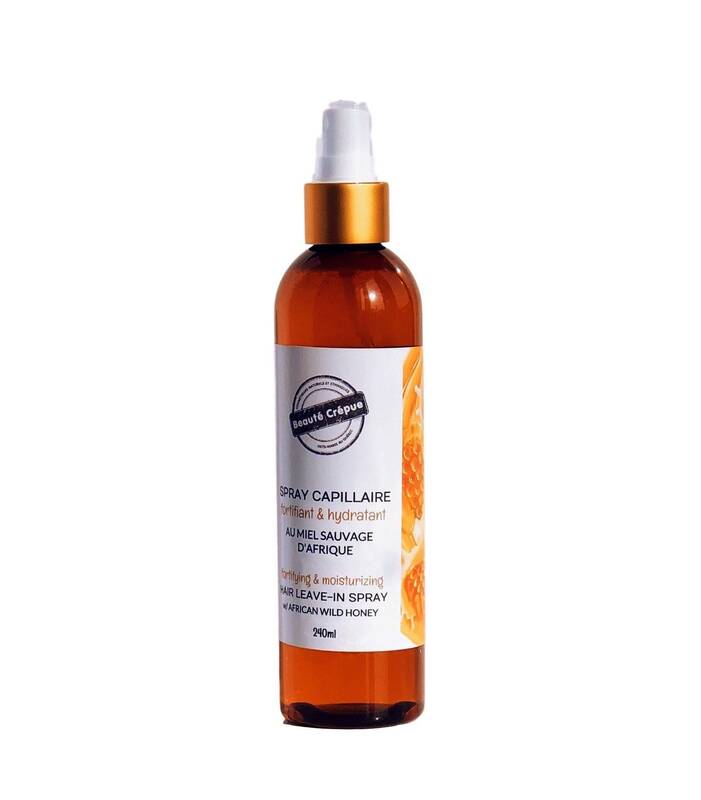 - HoneyQuat : Derived from honey, Honeyquat is a moisturizing agent and improves the texture of the hair and facilitates detangling . It has a great affinity with the keratin, which allows it to bind to the surface of the hair to protect it and make it soft and shiny. - Panthenol (provitamin B-5) : A moisturizing agent , repairing and fortifying hair . It beautifies the hair and stimulates their growth. - Silk Protein : Improves and maintains hair moisture . Makes hair soft , silky and smooth. - African Wild Honey: Rich in sugars and nutrients , honey is also a real boost hydration and regeneration. Our African wild honey is a beauty secret that dates back several centuries. 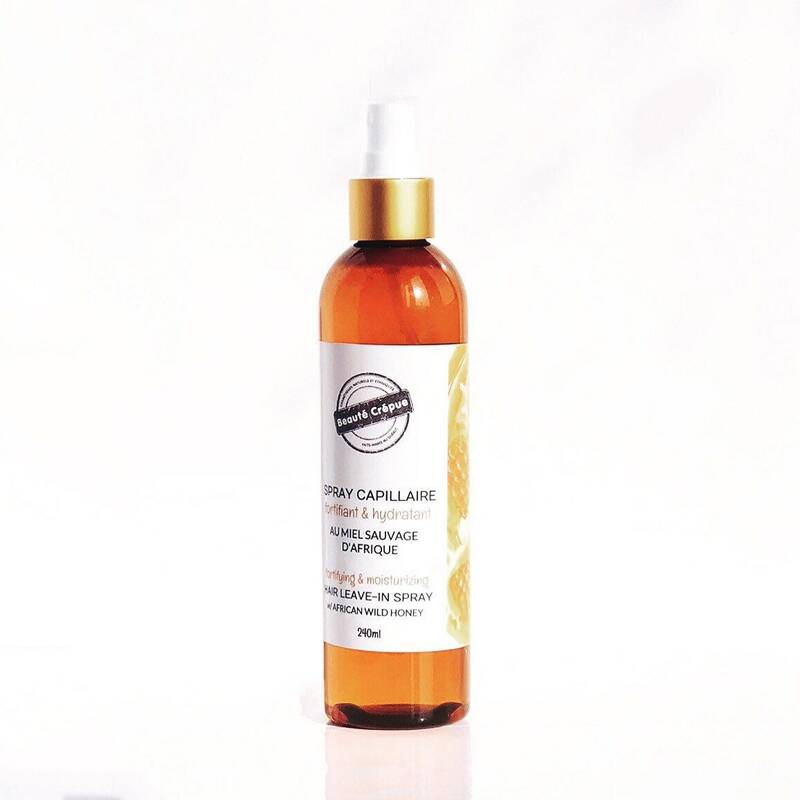 Natural African wild honey is 100% natural , unpasteurized , unfiltered and unheated , thus retaining all its natural minerals , amino acids , vitamins, and making it an important ingredient in skin and hair cares. - Lemon essential oil : reduces permeability and increases hair strength. - Fragrance : a mesmerizing blend of fragrances of sweet honey and spices. Ingredients: Distilled Water , Organic Aloe Juice , Honeyquat , panthenol ( provitamin B5) , Conditioner Emulsifier, (stearamidopropyl dimethylamine) , Polysorbate 20 / or Solubol , Fragrance, Inulin , Silk Proteins , Honey (African wild honey) , lemon essential oil , Lactic Acid GEOGARD Ultra ( natural Preservative ) , Potassium Sorbate ( natural Preservative ). Direction: Spray on dry or wet hair. Shake well before use.